Breast augmentation surgery is a procedure to enhance the size and shape of a woman's breasts by placing an implant behind each breast to increase its volume and enhance its shape. If you are considering breast augmentation, the information provided will give you a basic understanding of the procedure. You must realize that it can't answer all of your questions because plastic surgery must be individualized. A consultation with Dr Larocque will help you to take the best possible decision based on complete information. Using fat to fill tissues and augment volume is not a new concept and has been even done at the beginning of the last century. Because of the progressive resorption and disappearance of the fat injected, this technique has not been very popular. But during the last decade, Dr Sidney Coleman from New York has greatly modified the procedure and has contributed to popularize it. The basis of his technique is to transfer fat from one area to another and make it survive in its new place. This is done by aspirating the fat with an atraumatic technique using a special cannula, purifying it, and carefully re-injecting it with specially designed needles into the areas requiring augmentation. 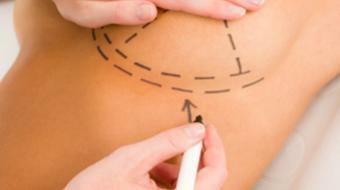 The procedure may need to be repeated several times to obtain the desired result. If you are considering a liposuction, the information provided will give you a basic understanding of the procedure but it can't answer all of your questions, since a lot depends on your individual circumstances. A « tummy tuck » or an abdominoplasty, involves the removal of excess skin and fat from the abdomen and tightening the muscles of the abdominal wall. This procedure can dramatically reduce the appearance of a protruding abdomen, remove the excess bulk, and recreate a waistline that has otherwise been stretched over time. If you are considering an abdominoplasty, the information provided will give you a basic understanding of the procedure, but it can't answer all of your questions, since it depends on your individual circumstances. A consultation with Dr Larocque is necessary to evaluate if you are a good candidate for this surgery. Are you a health practitioner that works at Dr Yvan Larocque Aesthetic Surgery Centre? Sign up with Health Choices First.